It’s the night of the semi-finals, and after our two friends experienced a lull in their relationship, their roller-derby teams are competing against each other to go on for the finals. 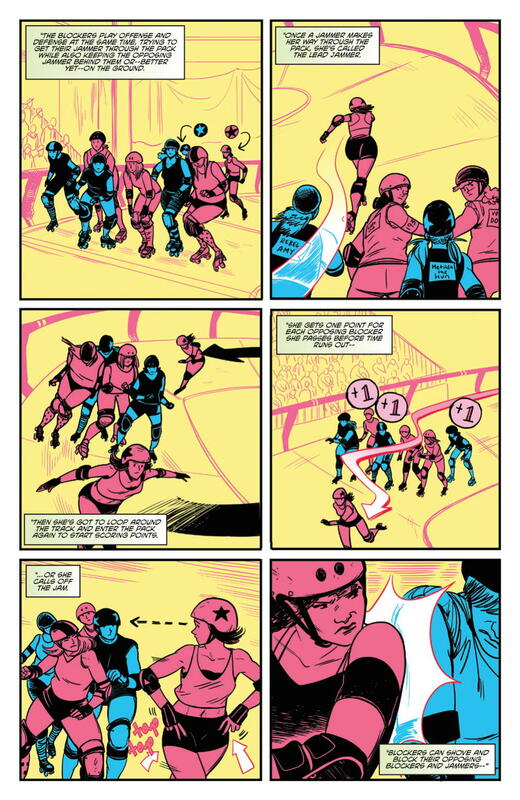 For those that think roller derby is just skating around and slamming your opponents to the floor, well….it’s kind of like that. 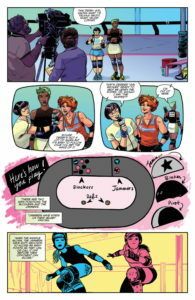 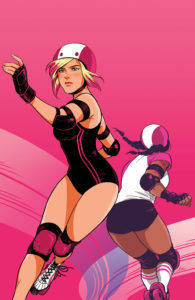 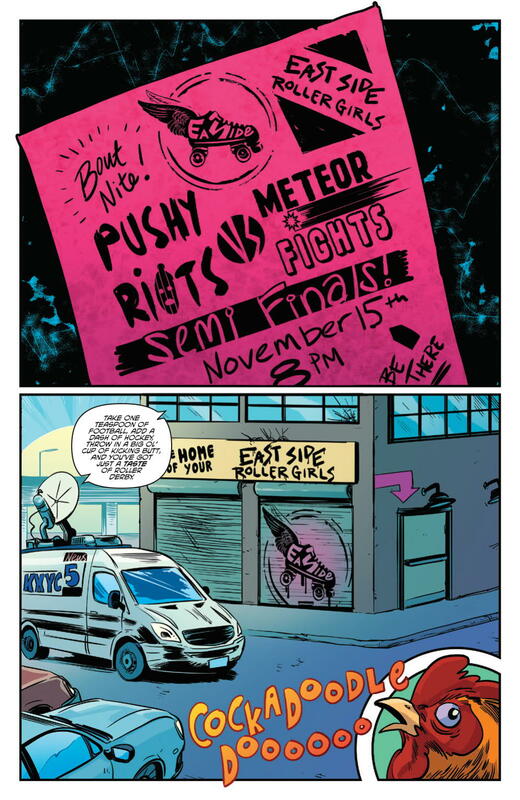 This issue also has a Roller Derby 101 section for those who don’t know exactly how it works. The more I read this book, the more I get the feel of a roller derby version of Strangers in Paradise, a fantastic book about female relationships by Terry Moore. 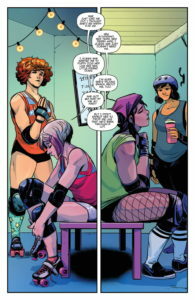 Jen and Maisie are millennial Katchoo and Francine, and while life and boyfriends and work and family happens around them, nothing can shake their sisterhood. 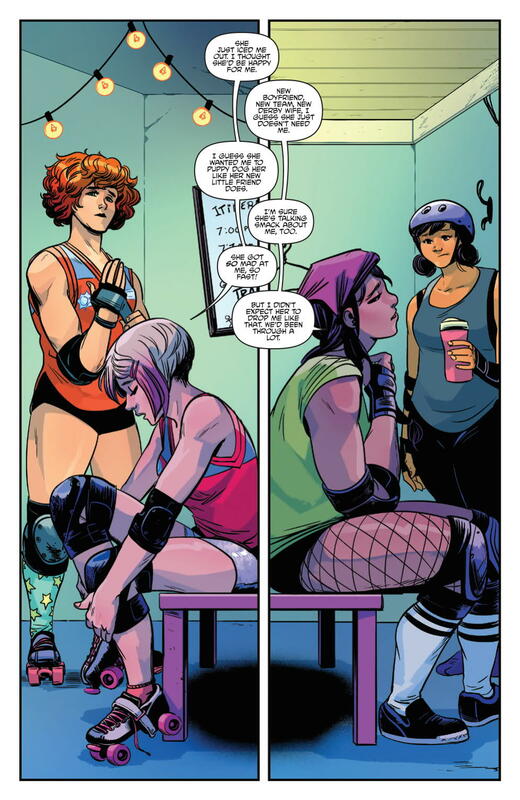 They may not have the same relationship as Katchoo and Francine end up with, but it has the same feeling of soul-mate closeness that is so rare and precious. 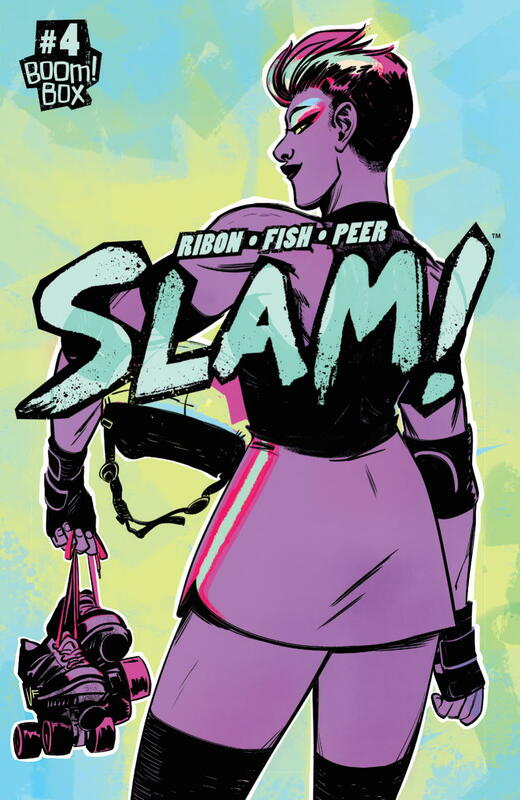 Still loving this series – Ribon’s words and Fish’s lines and Peer’s colors whirl up in a strong cocktail of awesome. 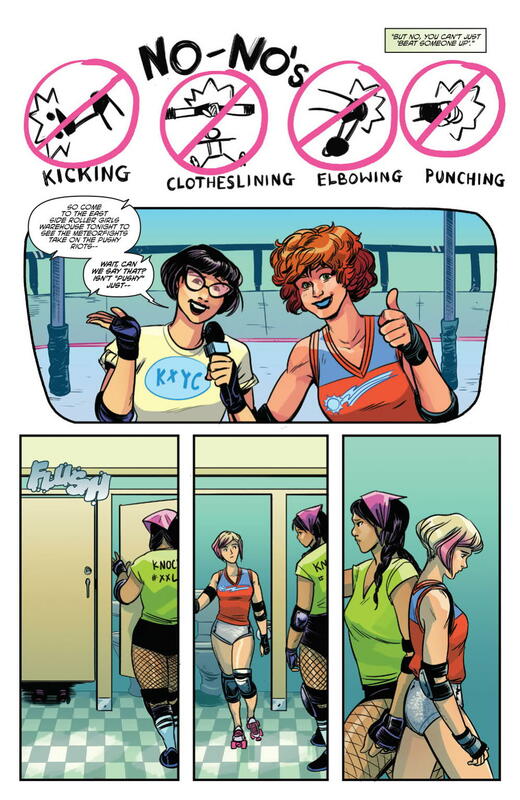 This is a grown-up girl’s relationship book without vapid fluff, and it’s all the better for it. This is a pretty solid book, with some great writing and attention to the characters… And I totally get the comparison to Strangers in Paradise (just started dipping into that series after reading Terry Moore’s Motor Girl).